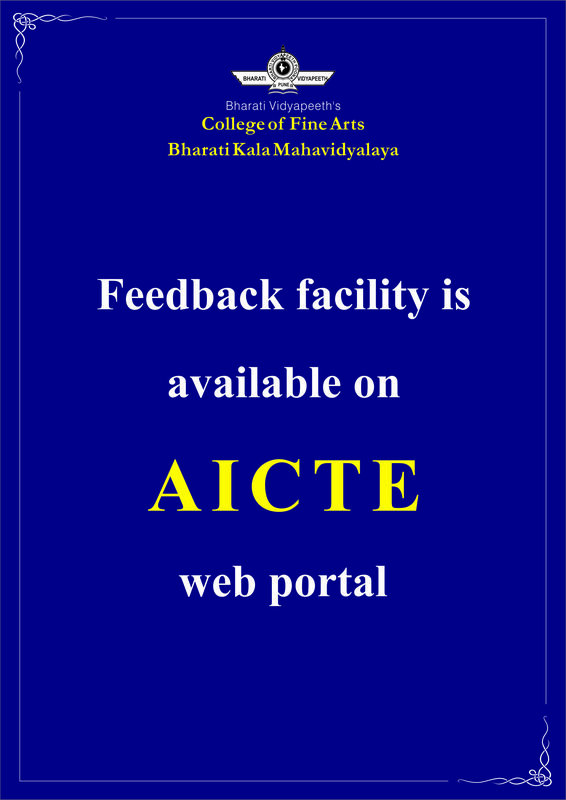 Entrance Exam for BFA MAH AAC CET 2019-20 online applications are available at http://www.doa.org.in / http://43.240.64.221/FINE_ART_2019/ / https://www.mahacet.org/cetcell/ . Last day for submitting applications is 31st March 2019. MAH AAC CET Entrance exam dates: 19th and 20th May 2019. 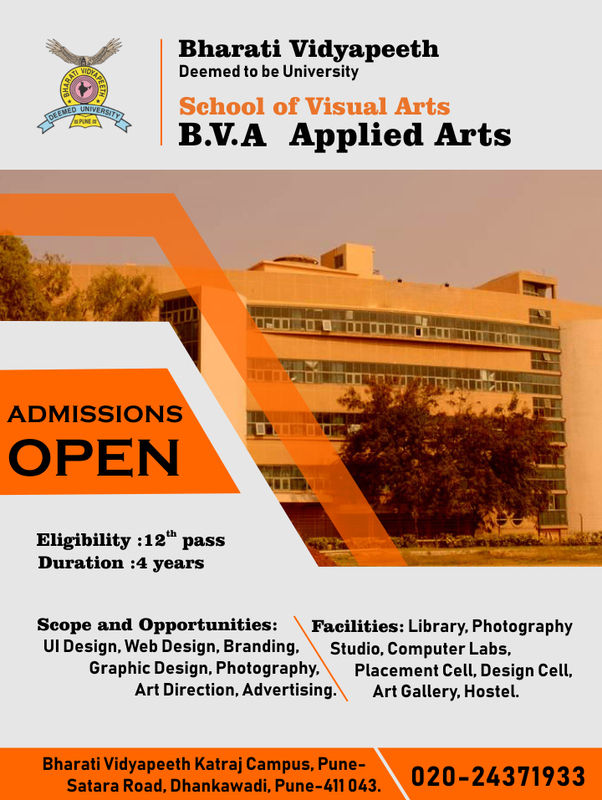 School of Visual Arts, Bharati Vidyapeeth Katraj Campus, Pune. Bharati Vidyapeeth is proud to be the first to introduce degree in FINE ART under University of Pune through the establishment of Bharati Vidyapeeth's Bharati Kala Mahavidyalaya (College of Fine Arts). 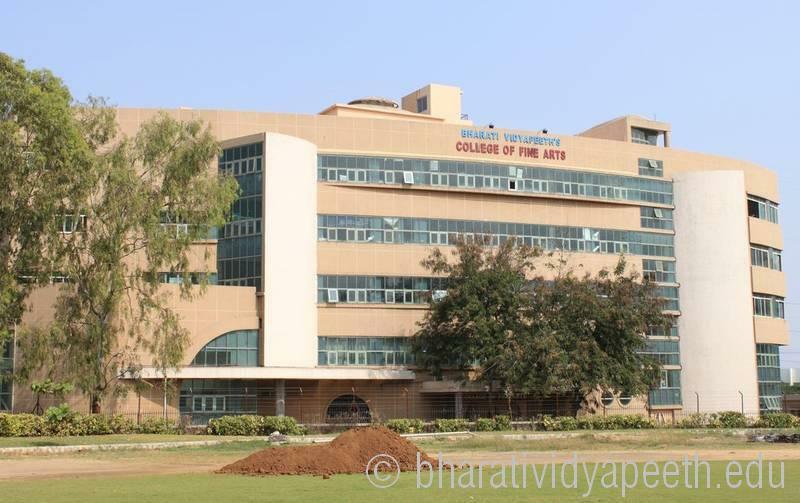 This College was established by Dr. Patangrao Kadam with a view to provide educational opportunities to the students who want to make their career in the field of Fine Arts. The college was established in the year 2000 with a view to make education in various art faculties available to the students. The institution is committed to provide qualitative higher education in art and its allied fields, to all the students desiring to do so. The Institute also works towards creating art awareness in the society by various means. The primary mission of the institution is to train young artists for professional careers in allied fields and create art awareness. The institute has had a strong commitment to provide a sound, supporting curriculum, modernized facilities and infrastructure for the academic studies to ensure qualitative education. Vision : "To be leading institution in the field of Visual Art imparting qualitative art education and creating art awareness." Mission : "We are committed to consistently facilitate academic, professional and over all development of the student, and to create art awareness in the society."